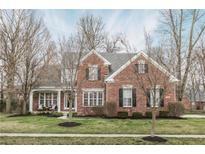 Below you can view all the homes for sale in the Lakes At Hazel Dell subdivision located in Carmel Indiana. Listings in Lakes At Hazel Dell are updated daily from data we receive from the Indianapolis multiple listing service. To learn more about any of these homes or to receive custom notifications when a new property is listed for sale in Lakes At Hazel Dell, give us a call at 317-308-8198. Fall In Love With All Of These Custom Features: 4 Bedrooms, 4 Bathrooms, Wooded Lot, Full Finished Basement, 3 Car Garage, Main Level Master, Huge Paver Patio With Firepit, Completely Brick Wrapped, Main Floor Laundry, Sprinkler System, 2 Story Foyer Entry, Jenn-aire Commercial Grade Kitchen Appliances, Granite Countertops, Beverage Station With Expresso, Cappuccino, Frappuccino Maker By Miele, Wine Fridge, Beverage Fridge, Beautiful Hardwoods, Gas Fireplace, Wet Bar, Vaulted Ceilings, Wrought Iron Staircase, Crown Moulding, Wainscotting & Neighborhood Amenities Such As Parks, Playgrounds & A Pool! MLS#21632395. RE/MAX Ability Plus. New water softener, sump pump & refrigerator! Fresh paint throughout! MLS#21628205. Berkshire Hathaway Home. Neighborhood pool, soccer field, playground & sledding hill within walking distance! MLS#21622857. CENTURY 21 Scheetz. All of this situated in a convenient friendly neighborhood with outstanding schools, parks, trails and only 10 minutes to both downtown Carmel and downtown Fishers. MLS#21610851. RE/MAX At The Crossing.